One Hit Wonder or unjustly neglected white soul superhero? The answer to the first part of that question is simple: he wasn’t a one hit wonder; there were a couple of minor hits in addition to that record, plus a whole load of singles that hit the country charts in the seventies. Statistics don’t seriously help with the second part though, subjectivity reigns. A high proportion of the world’s population is unaware of Roy’s Treat Her Right and a goodly number of those who do know it haven’t heard other records from the man. Let’s get one thing on the table, Treat Her Right is an awesome record, particularly from a white guy. Take a second listen to that clip above with your eyes closed so all the spectacular acrobatics don’t distract you. Just a rhythm track with vocal punctuation and minimalist, if slightly sexist, lyrics (though no more so than a significant percentage of forties and fifties black blues records). Was it? You could describe James Brown records from the mid to late sixties in much the same manner. Out Of Sight in ’64 was something of a precursor but it wasn’t till three years later and Cold Sweat that James’ affair with rhythm started to become a regular thing. No, I’m not saying that Roy Head was comparable to James Brown – no white singer could be – but even to be mentioned in vaguely adjacent sentences is quite something. Which would appear to be absolutely true. The track Talking About A Cow, appears on the album Treat Him Right! The Best Of Roy Head but it’s not on YouTube unfortunately. Treat Her Right was recorded in the Gold Star Studio in Houston and was released in July 1965 on the Back Beat label, one of many founded by Huey P. Meaux. It climbed to the position of #2 in the US National Chart and was only held off the top by the Beatles’ Yesterday. It only got to a measly #30 over here but stuck around for five weeks. Roy Head was born in Three Rivers, Texas, not a million miles from Houston and the Gulf Coast. He went to school in San Marcos after a family move, and it was while he was there that he formed a band, initially the Treys but later the Traits due to a misunderstanding/mispronunciation. Initially the band was guitars, bass, piano and drums but sax got added later. The guys played anything that was popular locally, from early rock‘n’roll through to swamp pop and country. They showed sufficient talent to impress Bob Tanner, owner of TNT Records out of nearby San Antonio, and their first release was One More Time coupled with Don’t Be Blue in ’58. The A-side was one that Roy was wont to go back to throughout his career. As a rock‘n’roll song from the period it showed quite some originality even if not up there with the big boys. The flip, a slow grinder with harmonica, well before it became fashionable for white groups to own such things, was more derivative – Elvis and Gene Vincent come to mind – but Roy handled it well. There was more enthusiasm than expertise from the band at this stage but touring throughout Texas improved the musicality level very considerably over the years to come. Personally, I have to add that I find the level of overall sonic murk contained in both these sides rather endearing. A chunky rocker with a sax beefing up the riffy backing plus delightful mayhem during the instrumental break. Nothing very musically advanced here but there’s nothing derivative either and it conjures up a sweaty South Texas dance hall rather well. Following TNT, Roy and the band made two singles for another San Antonio label, Renner Records (which label also recorded famed San Antonio resident, Doug Sahm). Both records were covers: Linda Lou (which had been a hit under the name Linda Lu a few years earlier for black Texan rocker Ray Sharpe) and Got My Mojo Workin’ (which shouldn’t need any explanation). Apart from the sheer confidence of the Head delivery there were several things that stood out from these records: the tightness of the band, the willingness and ability to handle more R&B styled numbers, and the bravery in adding a totally new horn arrangement to the second of the pair. As a digression I do wonder if this was the first cover of the Muddy Waters version of the song. And the reason for that slightly convoluted sentence is that Muddy didn’t have the original; that came from a lady called Ann Cole a year before Mud committed his way more famous version to wax in 1957. There were a couple or so more records before Roy got together with Huey Meaux and of these Get Back is certainly worth hearing, in that it’s an example of what I’d term the fully developed R&B/soul sound of Roy and the band; horns that were as sharp as anything from Stax but fruitier, plus a stinging guitar that had to have come from Texas. The number, another non-original from Jimmy McCracklin, was credited performance wise to “Roy – Sarah and the Traits” with the lass in question being one Sarah Fulcher. As far as I know, this is the only time she appeared on record with the band. Which almost brings me up to that single. 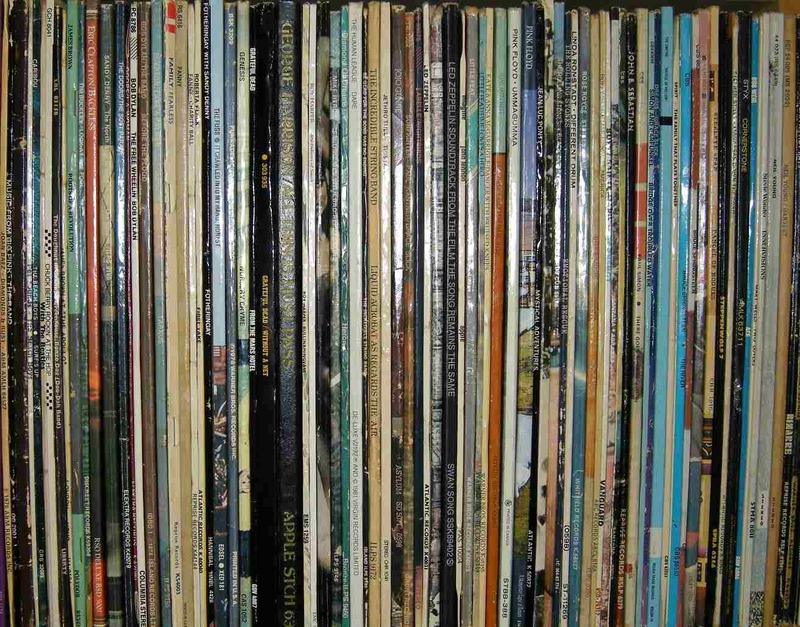 There’s just one record of interest before it. The pairing of Joe Turner’s Teenage Letter and a song titled, simply, Pain was its predecessor on the Back Beat label. Pain is the more interesting of the pairing. It was a blatant rewrite of Lonnie Mack’s Why (with the composing credit reading R.K. Head). Putting aside the legality, it was amazingly courageous and/or foolhardy of Head to take on Mack’s searing soul ballad. For me, Lonnie Mack was the greatest of all white soul singers with a voice to marvel at. Head had shown little sign of having such ability prior to this record. He does it so well though, that, if I didn’t know and love the Mack original this would have been a nailed-on selection for me. And then there was the hit. And then it fell apart. Well, not quite but it didn’t half get complicated. Roy had got impatient with Meaux and Back Beat after the first record didn’t result in glory and went off and recorded for another label, Scepter. That label issued Roy’s late, but rather good cover of Rosco Gordon’s Just A Little Bit. Back Beat issued their follow-up Apple Of My Eye which was a little too sound-alike-but-less-interesting to do much. TNT meanwhile re-released One More Time. Oh, and Scepter also picked up and released the already mentioned Get Back (and didn’t give any credit to Sarah Fulcher). Which resulted in some minor chart placings but, without the backing of a major label, buyers rapidly lost interest, and Roy fairly quickly moved to has-been status. Which is where he remained for a decade or so until someone had the belated inspiration that Roy could turn to country just like one or two other old rockers. And lo and behold he did so. Successfully. As recognised by Country Chart hits up until the mid eighties. And there endeth the story of Roy Head. Or so it should. But I didn’t really finish the Back Beat/Huey Meaux section. Those recordings that Roy cut for Huey in the Gold Star studio were usually more interesting than others from the time frame. For example, You’re (Almost) Tuff; a stonking bass which segues into a Diddley beat, two guitars who’ve been rumoured to be Johnny and Edgar Winter, and a battle ‘tween guitar & drums midway through. What I didn’t tell you though was that Roy went back to Huey sometime in the late sixties/early seventies, and cut a load more tracks which saw release on a couple of Crazy Cajun albums, Boogie Down and Rock ‘n’ Roll My Soul in the seventies. In their embrace of all things Huey Meaux, Edsel Records released this material on two albums in 1999, White Texas Soul Shouter (which had 24 tracks) and Country Crooner. The first of the pair was largely soul/R&B inflected and the second, country (there were a couple of overlaps but I’ll forgive them that). And I’d add that, such is the general murk surrounding Mr Meaux, even the sleeve note writer can’t date the tracks – ‘twas from him (John Lomax III) I got the comment re sixties/seventies. Roy’s version of Roosevelt Sykes/Junior Parker’s Driving Wheel is another loper but a loper with attitude if that’s not an oxymoron. Splendid horns and a driving organist. You can just imagine this one in his stage set, “I want to you to come home baby, that’s where you get your steaks and …”. I should mention a couple of slowies. I’m Not A Fool Anymore was a regional hit for T.K. Hulin and it has that blend of slow soul and swamp that T.K. specialised in. And the other? One from the pen of Mickey Newbury no less, Baby’s Not Home, the original of which appeared on Mickey’s I Came To Hear The Music. Roy gives both the dignity and restraint they deserve. Agony doesn’t always warrant screaming. Houston does Nashville indeed! Those selections were almost arbitrary; I could have picked almost anything from the set: B.B. King blues, Lee Dorsey covers, funkified Soul Sisters (I Can’t Stand It) and even a stab at fellow Texan Hero Doug Sahm’s She’s About A Mover. A good time to end I guess and ponder just what it was about those Roy Head tracks that appealed. He didn’t have the greatest voice and was certainly no match for the early soul big names like Burke, Bland and Brown (even if he borrowed bits from each of them particularly the one who also recorded in Houston, Bobby Bland). But he had masterly timing, intonation, and above all, enthusiasm. And when he was paired with a great band, as on those Crazy Cajun recordings, he could just churn out classic dance floor stuff. He’s still with us and his son Sundance has followed the tradition; he got to the semi-finals of American Idol in 2007. Keep on rockin’ Roy and enjoy the fishing. 1. (Do The) Mashed Potatoes, an instrumental, ostensibly from Nat Kendrick and the Swans, was actually from the James Brown band with James himself playing piano and shouting out the vocal. The alternate name was for contractual reasons. An extra vocal from DJ Carlton “King” Coleman was added so that listeners wouldn’t be able to make out the Brown voice. 2. Huey P. Meaux was a music entrepreneur who was involved in the careers of many artists from Texas and South West Louisiana. See The Crazy Cajun website. 3. 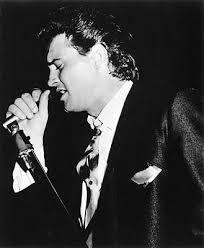 Ray Sharpe was, and still is, an R&B and rock and roll singer who was born in Fort Worth, Texas. Sometimes referred to as the “black rockabilly singer” though little of his material was really in that vein. His record Linda Lu, produced by Lee Hazlewood with Duane Eddy on guitar, is his claim to immortality. It was a big regional hit and got to #46 in the Hot 100 in 1959. 4. Jimmy McCracklin was a respected blues pianist and vocalist originating from the San Francisco Bay Area. He was also something of a one hit wonder in that his record, The Walk, made the National Chart in 1957. 5. The rather mysteriously named T.K. Hulin was/is a swamp pop artist who gets a whole paragraph devoted to him in the Toppermost on Freddy Fender. (No, he had nothing directly to do with Freddy but came under the sub-heading “And Even More Of That Weird And Wonderful Swamp Pop Music”. 6. Rosco Gordon was a blues and R&B singer emanating from Memphis, Tennessee. He had several R&B Chart Hits in the fifties including No More Dogging and Booted. However, the one composition from him which is viewed as an R&B standard is Just A Little Bit which has received the accolade of scores of covers. 7, The Edsel/Crazy Cajun album White Texas Soul Shouter is also available on the Voices Of Americana series and is on Spotify. 8. I have to apologise for the very samey visuals on the tracks from White Texas Soul Shouter in this post. That’s down to the fact that I loaded them. I must do a much stronger job in publicising Roy and his music such that someone else does some of this uploading! 9. I belatedly realised that I’d only selected nine tracks. Can I direct the reader to that album that I’ve made such as fuss about on Spotify. Start at the beginning and just keep on playing. 10. In 2016, Roy’s son Sundance Head competed and won the “The Voice” television show in America. In the blind audition he sang Otis’ I’ve Been Loving Her Too Long (and did so rather well I thought). About 35 seconds into the clip you’ll see a very proud dad and family in the audience. There’s also a clip in existence (of relatively recent vintage) showing Roy, live, singing Treat Her Right backed by Sundance on guitar with a little vocal towards the end. I’m grateful to Steve Paine, chronicler of Lonnie Mack, for pointing me at these clips. Bobby Bland, Eddie Cochran, Bo Diddley, Lee Dorsey, Buddy Holly, B.B. King, Lonnie Mack, Mickey Newbury, Junior Parker, Elvis Presley, Doug Sahm, Gene Vincent, Muddy Waters. Have to admit that while I knew ‘Treat Her Right’ through the many cover versions (including the Johnny Thunders and Patti Palladin one which can be heard here). I never knew that Roy Head had recorded the original. What a great record it is, too. Thanks for enlightening me on this and for yet another great Toppermost. Thanks for your comments Andrew, and thanks for the clip of Johnny & Patti. No one could match Roy on this one though. Hope you watched the vid all the way through. That athletic performance takes some beating. Thanks, Dave. I knew nothing about Roy Head, though along the way I’ve picked up a few 45s. You’re right about Pain, and the courage to take on a slow blues. Equally good is The Feeling’s Gone, which is on the EP “Just A Little Bit of Roy Head” a mod favourite and after the Treat Her Right single (Vocalion in the UK) the easiest record to find. I also found a Vocalion 45 of My Babe, one that so many have done, but he does it particularly well. I Got My Mojo Working … was Roy Head the first issued white cover recording (1962)? The LP R&B At The Marquee by Alexis Korner’s Blues Incorporated had the song in November 1962 (not 1964, which Wiki says). Chris Barber backed Muddy Waters doing it on tour in 1958,. After visiting Muddy in the USA in January 1959, Chris Barber started performing I Got My Mojo Working with Ottilie Patterson on vocals, and I found a reference to her in “Mods The New Religion” as the first British singer to cover the song. Brian Jones was influenced by seeing her sing it, and Mick Jagger recalls singers auditioning with it for Alexis Korner in 1962. Barber recorded it at the BBC in 1963, but I recall trad jazz bands doing the song with cheerful shouted chorus, so it was around. Cyril Davies would have been doing it live anytime from 1957. Peter, thanks for your Comment. I was either sloppy or provocative or both in my remark re Roy’s version of “Got My Mojo Working”. I double checked the Cyril Davies/Alexis Korner version on “R&B From The Marquee” from Blues Incorporated. My vinyl copy just says 1962, Wiki says November 1962, but the Cyril Davies website version of the sleeve notes to the album says June 8 1962. 45cat has the Traits (Roy Head) single as Sep 1962, so you’re right. I was only digging into the Davies website in case there was an earlier version from Davies with or without Korner and stumbled over this. And I’d forgotten that Jack Good produced “R&B From The Marquee”. What a man! But that wasn’t the first white version. Cal Taylor, who didn’t work with me on this one, was also provoked and alerted me to the fact that there was a version from little known white Texan band, the Nightcaps, which got included in their album “Wine, Wine, Wine” released in 1961. It’s on YT. An excellent read. Another one who knew nothing about Roy Head apart from “Treat Her Right”. Thanks John. You’re far from alone in only knowing “Treat Her Right”, I was pretty well in that state when I bought the “White Texas Soul Shouter” album. While it wasn’t as far back as pre-Internet days there wasn’t a lot on the web that was of great help so the purchase was something of a leap in the dark. Thankfully that leap worked out and Roy was on my car CD player for journeys to and from work, for months. The only version I’d heard of ‘Treat Her Right’ was the Commitments, which was one of the best tracks on that album, but falls short of this spectacular original. Another great article. Thanks Dave! My memory of the Commitments, both film and book, tells me that they showed excellent taste in their choice of sources. And it may have been the book which ended with the playing of the Byrds/Gene Clark”s “Feel a whole lot better” with the suggestion of Power Pop as the next theme. And thanks for your thanks. Always welcome.